As some of you may recall, Toyota showed a redesigned version of its Highlander SUV at last month's Moscow International Motor Show. Today, the Japanese automaker released details and photos of the U.S.-spec model that will begin arriving at Toyota dealers from September 24. 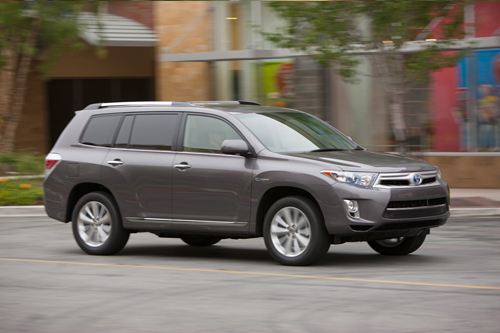 Not surprisingly, the NA 2011 Highlander features the same styling updates as the model shown in Moscow. 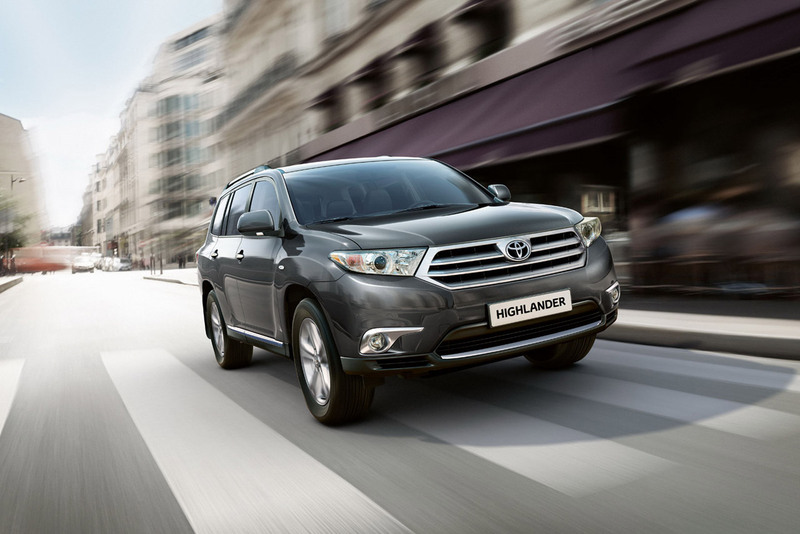 On the outside, the Highlander gets a new front fascia, hood and fenders, redesigned head lamps and tail lights, a re-trimmed rear bumper, as well as new alloy wheel designs and black rockers with chrome accents for the gasoline models. 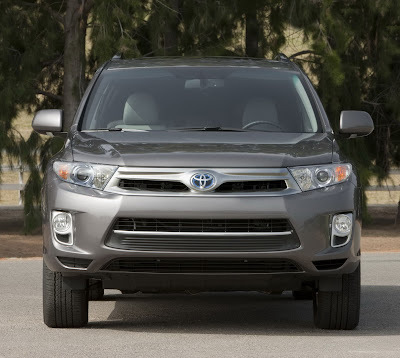 For 2011, Toyota has further distinguished the Hybrid version that gains a unique front grille and bumper design plus color-keyed rockers with chrome accents, vertically stacked fog lamps and blue lens covers for the head lights. Inside, changes are limited to the added comfort and convenience features such as the 50/50 split third-row seat and manual rear climate control that have been made standard across the range, the standard power lift gate on the SE grade and the revised audio / navigation systems. 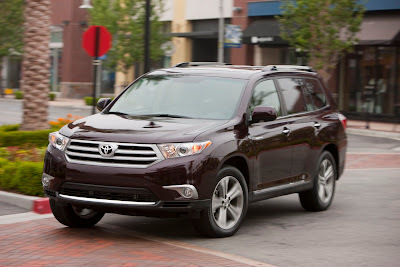 The standard 2011 Highlander will continue to be offered with two gasoline engine choices including a 2.7-liter four-cylinder unit with 187HP and 186 lbs-ft offering an EPA-estimated 25 MPG rating in highway driving, and a 3.5-liter V6 with 270HP at and 248 lb.-ft. of torque, hooked up to a five-speed electronically controlled automatic transmission. 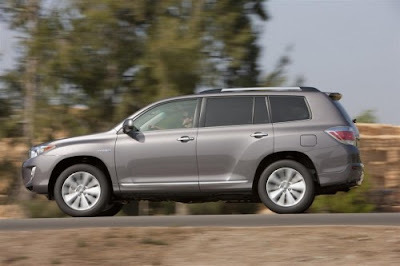 The updated Highlander Hybrid debuts a more powerful 3.5-liter V6 gasoline engine for 2011, replacing the outgoing 3.3-liter V6. The system pairs the larger displacement V6 engine with an electric drive motor-generator for a total system output of 280 net horsepower. 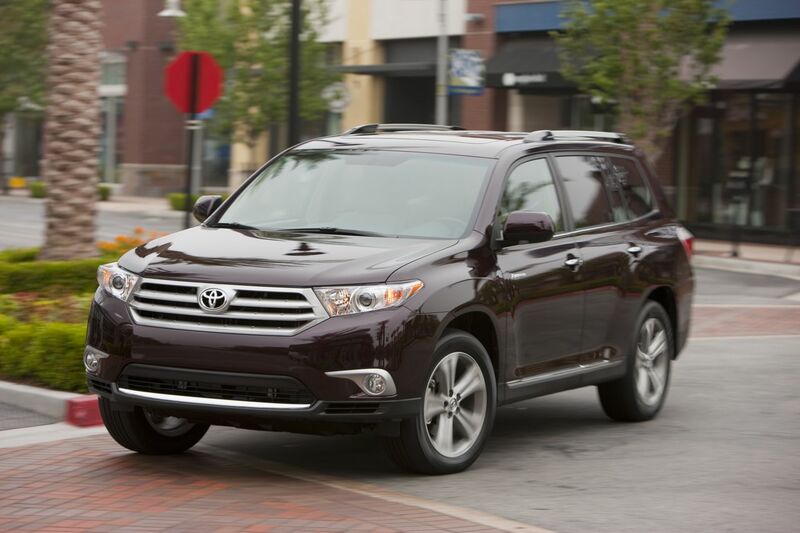 Toyota said the 2011 Highlander Hybrid receives EPA estimated fuel economy ratings of 28 MPG city and 28 MPG highway. Prices for the revised Highlander range from $27,390 for the base 2WD four-cylinder model to $42,945 for the 4WD Hybrid variant in Limited trim.